Simple reminder and task list. Is there a better alternative to Buddy? Is Buddy really the best app in Productivity category? 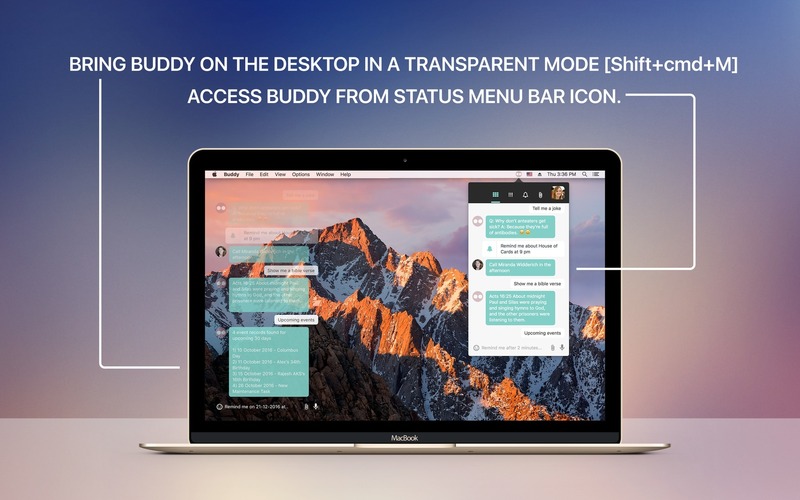 Will Buddy work good on macOS 10.13.4? 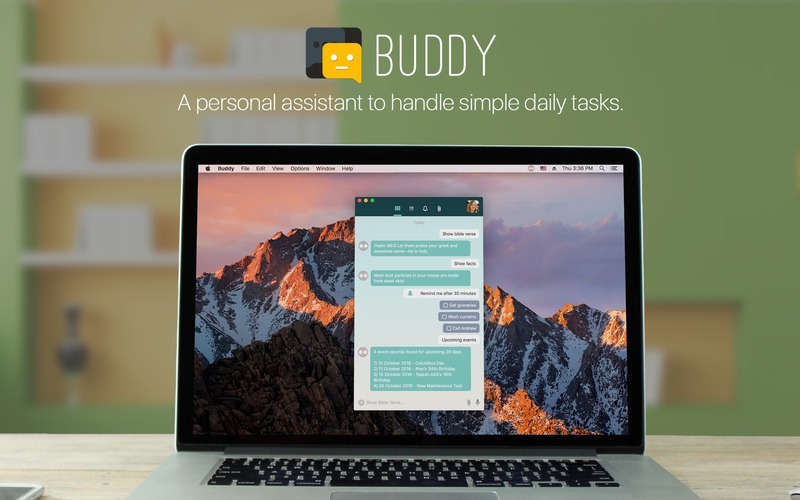 Buddy is your true buddy to do things the smart way. Be it setting up reminders, listing to-dos, or looking for upcoming events, Buddy will have you covered. The way it connects to the user is the most unique thing about this app; just type the task below the app and hit Return. Buddy is completely offline. It stores all the data on your local hard drive. Reminder Setup reminders just by typing "~30 minutes". It automatically translates into "remind me in 30 minutes". You can also mention the time in your reminder which may go like, "~2:30pm". Buddy needs a review. Be the first to review this app and get the discussion started! 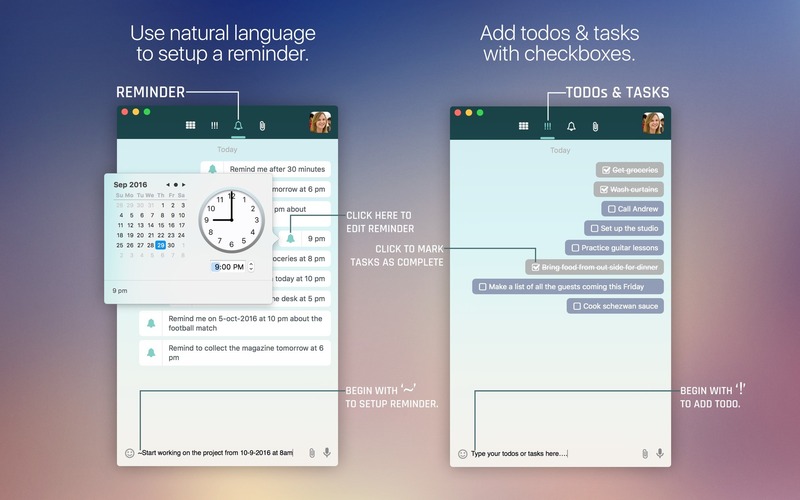 Add Todos and Tasks: To add todos, begin with ‘!’ and type. You can list down your tasks and todos one by one with check boxes beside them. Save Attachments: Have important files and documents within your reach by dropping them into the app. Buddy will categorize and move them into a place dedicated to Attachments. You can directly go to the location of that file just by clicking on it. 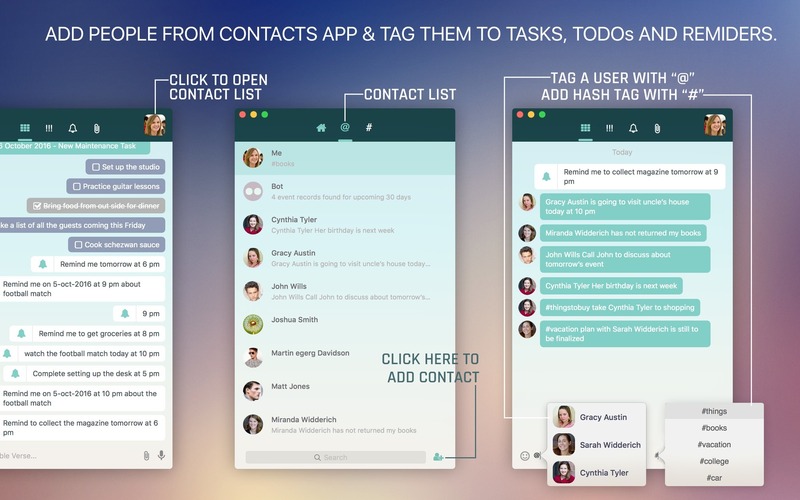 Add People: Import people from Contacts app and add them in todos and reminders. Hash Tag: Hash tags are very helpful at times. You can add hash tags with tasks and reminders. 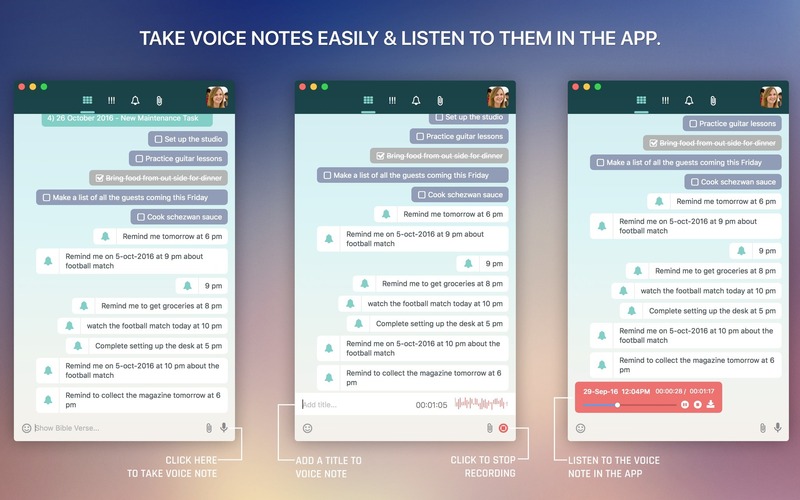 Take Voice Notes: Keeping voice notes comes very handy when you don’t feel like typing. You can click on the Record button at the extreme bottom right corner of the app and take voice notes.